Second City Works | The Feed: The Buggy Whip. VHS Rentals. The Focus Group. The Buggy Whip. VHS Rentals. The Focus Group. I’m sitting in the back of the Annoyance Theatre on Chicago’s North Side with a plate of hummus and veggies and a bottle of water. Filling the seats in front of me are the brand leaders and marketers for a well known product that many of us buy each week at our local grocery store. They are joined by a host of Second City writers – laptops open to take notes on everything that is about to happen. In the middle section of the seating area are real people who have been invited to participate in an incredibly unique process. On stage, two Second City facilitators are joined by a six member Second City ensemble – some of the most inventive and talented performers working in improvised comedy today. There’s a dating game featuring bachelors who represent different aspects of the brand essence; there’s a musical number between a couple brought together by their mutual love of the brand; and there’s short, quick 30 second scenes that highlight some hilarious aspects of the brand that feel like instantly made commercials. Second City Works calls this immersive process Brandstage and it’s kind of incredible. Basically, our group has found a way to take the exact model that Second City has used on its stages to create award winning content over six decades and apply it to create unique insights for some of the world’s largest, most sophisticated brand consumer marketers. The audience talks to our facilitators about the brand – their feelings about the brand – and our actors improvise scenarios, characters and content – right in front of the whole room. Feedback is solicited after the improvisation from the audience. All this time, Second City writers are observing the interactions and the material. 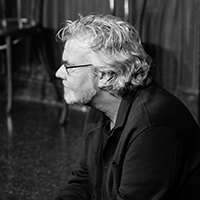 After a few of these improvised sessions, the cast and the writers huddle backstage and create a one act Second City revue based entirely on the brand essence – fueled by the audiences interactions, observations and emotions surrounding their relationship (or lack thereof) with the brand. A full act of original content – completely customized around the brand – is performed for the audience. And this is just day one. Subsequent days are filled with more sessions like this one – but also deeper dives between Second City talent, the folks who are responsible for marketing the brand, and yes, even more real people to help prevent the dreaded “grand reveal” that dooms far too many ad campaigns. At the end of a typical week, marketers leave with not only a treasure trove of fresh, vetted ideas, but with greater empathy for their consumers, and a renewed belief that their work can still be fun. Great comedy is all about reflecting truth in new and interesting ways. Great improvisation is all about finding truth by co-creating with fellow artists and audiences. I’ve personally had the sad and frustrating experience of sitting in on focus groups more times than I would wish on my worst enemy. Here’s what I have learned about focus groups: you learn very little going out that you didn’t know going in. No wonder brand storytellers so easily find themselves stuck in a rut creatively (and no, simply firing your agency isn’t the answer). Focus groups don’t reveal truth. Why would they? Getting to truth requires a lot more than asking a question and accepting that the response contains all the truth you need. Human beings don’t work like that. We respond top of mind based on the context of the conversation. And we rarely reveal our absolute truest voice to strangers in a conference room – let alone on phone or by clicking yes or no on a computer screen.